The Bank of George picked a heck of a time to be a startup. The community bank opened in September 2007, a year before the financial crisis started with the collapse of Lehman Brothers. The Great Recession took hold in its aftermath and no economy was hit harder than Southern Nevada, which had been elevated by new construction and visitors spending discretionary income. That was quite a challenge for a community bank geared to serve business customers during one of the worst periods in Nevada’s economic history. But the Bank of George not only survived the recession but it’s now thriving as shown by its 2015 numbers, which reflect its most profitable year ever and its role as a growing source of business loans in the community. The bank’s annual pre-tax income of nearly $1.7 million represents earnings that were more than four times that of the prior year. The net profit for the year was a little more than $7 million. Deposits increased by $19.2 million during 2015 to $122.3 million at the end of the year. Since it’s geared toward the business sector, the net loan figure is important. It increased by $27.6 million during 2015 to reach $92.7 million by the end of last year. That’s a 43 percent annual growth rate. “It was quite a challenge and, like all banks in Southern Nevada, there were some difficult times to navigate,” said Ryan Sullivan, president and chief operating officer who served as chief financial officer when the bank opened. Bank of George is a privately owned community bank whose corporate headquarters is on Russell Road in the southwest valley. It operates a second branch in west Henderson and employs 30. 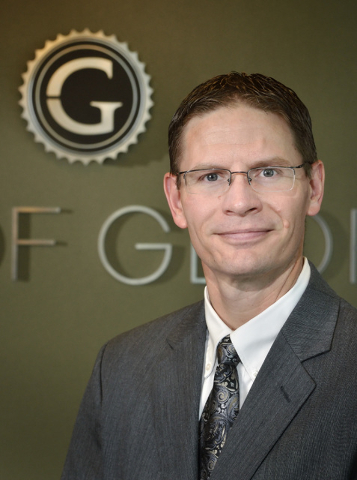 It was formed by group of founding directors, some of whom had experience in opening community banks and some of whom were long-time Southern Nevadans who thought it was good opportunity for locally owned community bank, Sullivan said. The bank has more than 200 shareholders, a group led by developer Edward Nigro, president of Nigro Associates, who serves as chairman of the board. Timothy Herbst, vice president of Terrible Herbst, Inc., which operates gas stations and convenience stores, also is on the board. 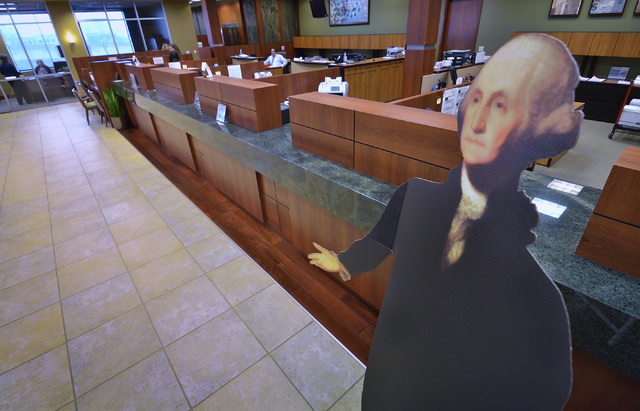 Bank of George is named after former President George Washington as a way to personify integrity and dedication to the community, Sullivan said. In addition, it was a unique name that people could easily remember. The concept behind starting a business-oriented bank wasn’t just access to banking products, even though that’s a big part of it for small and medium-sized businesses, Sullivan said. Sullivan said there are a lot of challenges for small businesses to navigate, including finance and accounting issues. To be a good business owner, it’s important to have a good team of advisors. For many people that might include their CPA and an attorney but Sullivan said a banker should be part of that team. 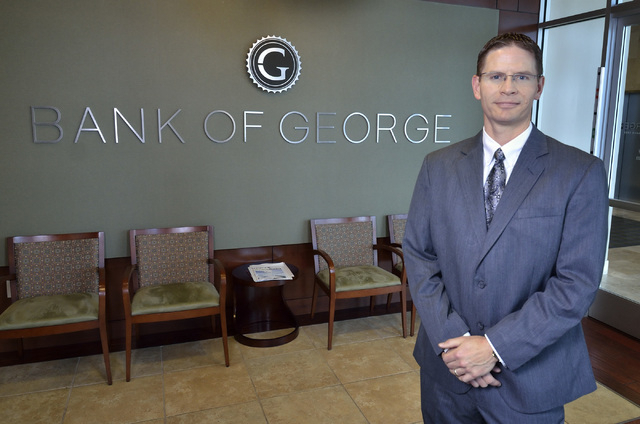 Bank of George handles a variety of loan products for businesses. There are commercial real estate loans (for both owner-occupied businesses and for investors), construction loans and other commercial and industrial loans. There’s equipment financing not secured by real estate, revolving lines of credit and loans for business acquisitions, partner buy-ins and partner buy-outs, Sullivan said. 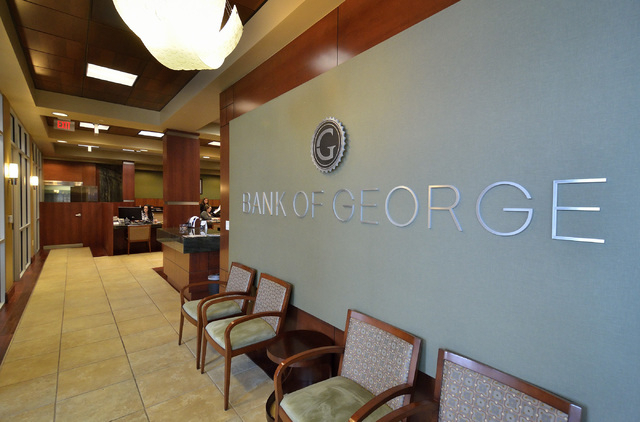 Bank of George does a lot of banking with attorneys, accountants, doctors and others in the medical industry. Many are own professional-based service companies. The typical client profile does anywhere from $2 million to $25 million in revenue a year, Sullivan said. The signs of improvement for the economy and banking industry started in 2013 and it took off in 2015, Sullivan said. There’s a long way to go and Southern Nevada is lagging behind other regions such as Phoenix and Southern California which exited the recession more quickly and in a more pronounced way, he said. That’s been evidenced by the amount of Small Business Administration loans that the Bank of George issued in 2015. It originated more than $25 million in loans. It’s expected to reach $35 million to $40 million this year, Sullivan said. Much of that is SBA 7(a) loans that Bank of George focused on for the first time in 2015, Sullivan said. Those loans are popular because they can be secured by real or other business assets. They tend to have longer amortization and longer terms, and, in the case of commercial real estate, full amortization of 25 years with no maturity and balloon, Sullivan said. For equipment loans, most traditional bank loans are for five and seven years but under 7(a) loans, the term can go from seven and 10 years, he said. 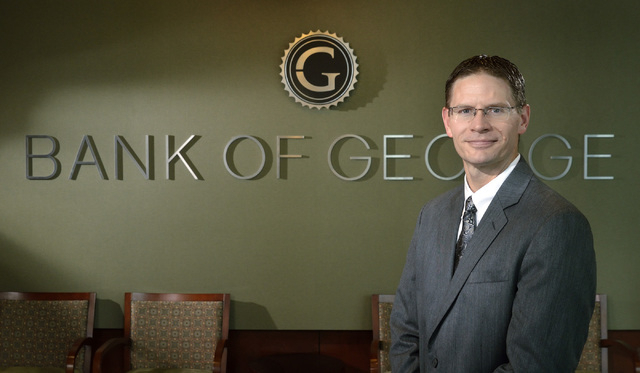 Bank of George has put additional resources into securing the loans by hiring a chief SBA loan officer and even investing in marketing and advertising in business periodicals, Sullivan said. The best marketing, however, is word of mouth from clients talking about the bank, he said. Under the 7(a) program, 75 percent of the loan is guaranteed by the SBA and the bank funds the entire amount, Sullivan said. In comparison, under the SBA 504 loan program, there’s no SBA guarantee. There are two separate loans with the bank portion coming to 50 percent and the bank partnering with a community development fund that finances the next 40 percent, he said. Sullivan said SBA loans are averaging between $1.5 million and $2 million. They can be as low as $50,000 and they can go up to $5 million for 7(a) loans and go over that amount in some exceptional cases, he said.